Gov Christie -- not a fan of the MTV reality show "The Jersey Shore." 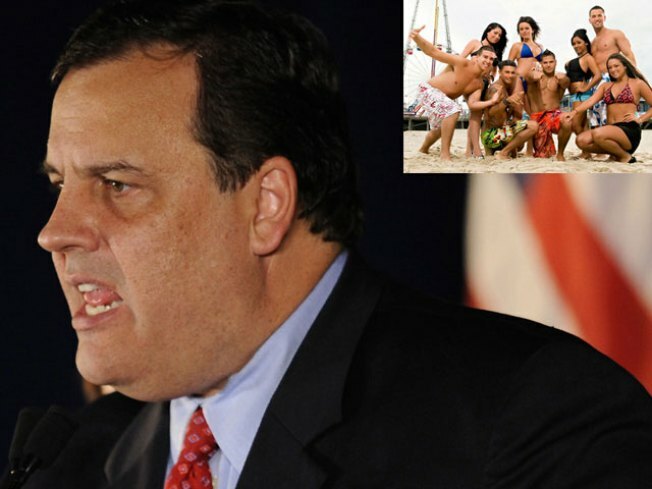 "Jersey Shore" may have many fans, but New Jersey Gov. Chris Christie is not among them. During an appearance Sunday on ABC's "This Week" show, host Jake Tapper asked Christie if he thought the MTV program which focuses on the escapades of a group of hard-partying 20-something Italian-Americans at a shore house was positive or negative for the Garden State. "Negative for New Jersey... It takes a bunch of New Yorkers, drops them on the Jersey Shore and makes them look like they came from (here)," Christie said. Many Italian-American groups have also panned the show, deeming it offensive and reliant on crude stereotypes. The governor says anyone who wants to learn about the real New Jersey should visit the state and see what it has to offer. "I can tell people, they want to know what New Jersey really is? I welcome them to come to New Jersey anytime," Christie said. "The Jersey Shore is a beautiful place. And [it's] some place that everybody should come on vacation this summer. We’ve got another 6 weeks or so of summer left. Come to New Jersey!" he said.